Well I’ve got bad news. I just got this photo of Sylvia Wells’ headstone. Poor Sylvia. She was born in 1766 in Washington County, Rhode Island, the daughter of Randall Wells Sr. and Lois Maxson. She married her first cousin Joseph Wells Sr. about 1789 and moved to Ohio. 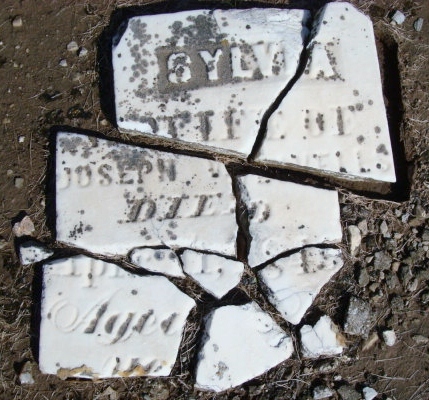 Joseph died in Washington Co., OH and Sylvia died in Auglaize Co., OH on 11 April 1849. She is buried in Willow Branch Cemetery along with her sons Randall and Harris. I was very saddened to see her headstone all broken up. She did a little better than her husband. 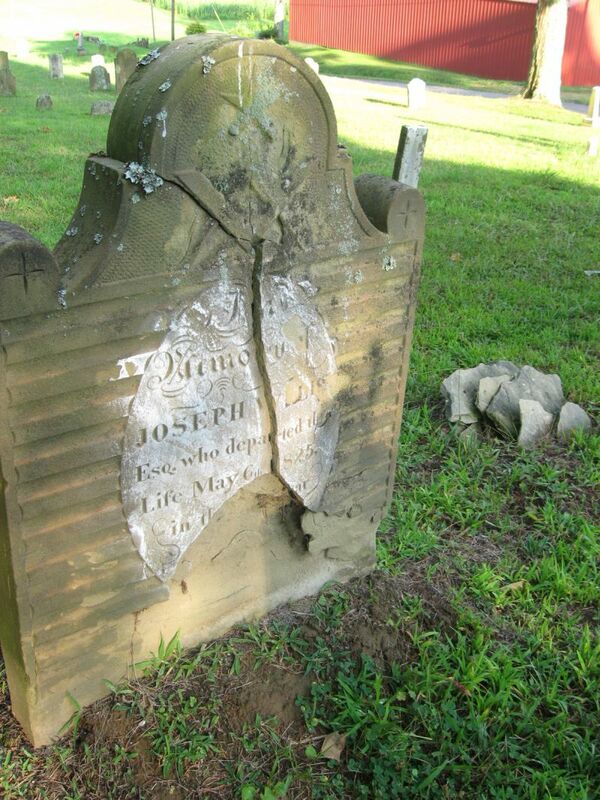 Here’s his stone in Greenlawn Cemetery, Lowell, Washington Co., OH. A very interesting stone. Such a shame that it hasn’t lasted the test of time in better shape. Take these photos as a warning and do your best to create a photo catalog of your family stones. As time goes by they don’t last as well as we’d all like. Try to record as much as you can about them. Sorry I haven’t been posting too much as of late. I’ve been working on a few other projects. I had some more films come in at the family history center so I’m back working on my Slovakian connections with the Fabriczy family. Anyone out there speak Hungarian that can read old handwriting out there?? I’m having a terrible time translating the occupations of my family on the census records of 1869. Wish me luck!